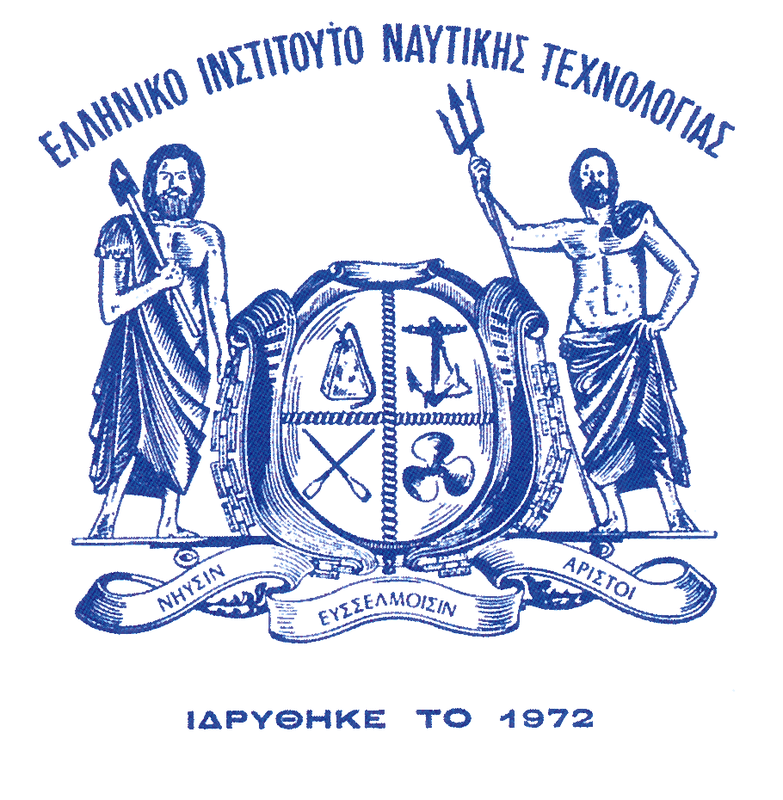 Piraeus, 12.04.2017: A new partnership between the Hellenic Institute of Marine Technology and the Greek Section of the Society of Marine Technology and Marine Engineers set up to strengthen cooperation between the two organizations on their work on promoting advances in marine technology, was today signed by Mr. Michael Matzafos HIMT Chairman and Dr. John Kokkarakis, SNAME Greek Section Chairman. 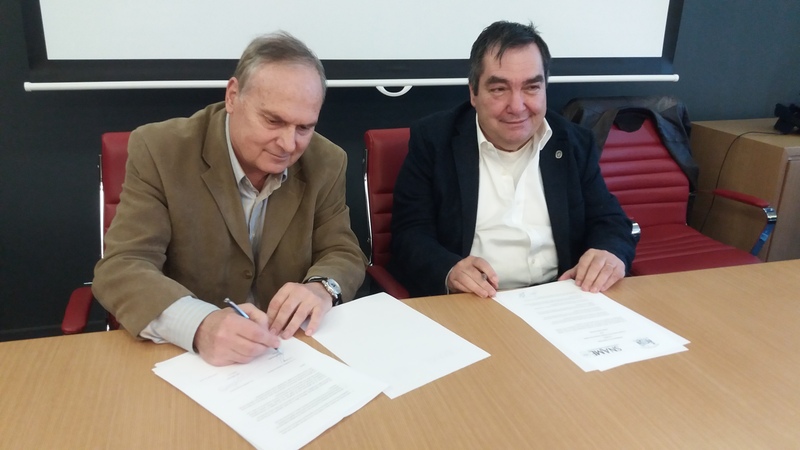 The Cooperation agreement reaffirms the partnership between the two societies to support each other's activities through sharing information, expertise, and common use of resources to develop joint actions and activities. Crucially, the partnership will see the two organizations coming together to take action on promoting the concept of creating a Federation of marine societies in order to provide significant influence in the area of international maritime safety, environment and ship operation. 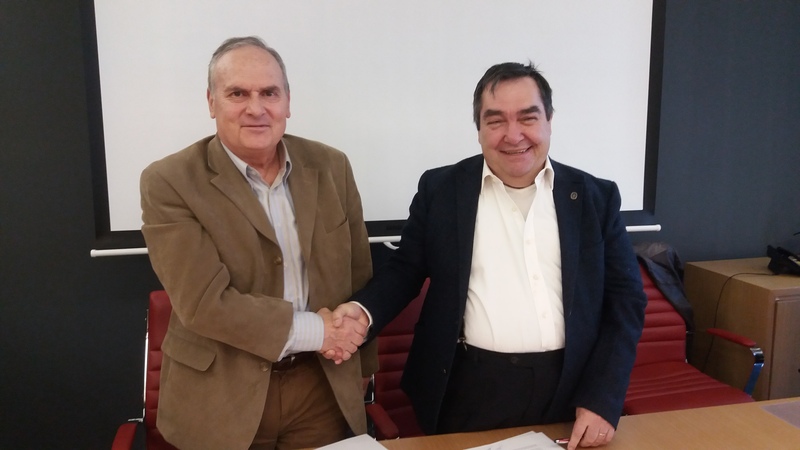 From left: Michael Matzafos, HIMT Chairman and Dr. John Kokkarakis, SNAME Greek Section Chairman. 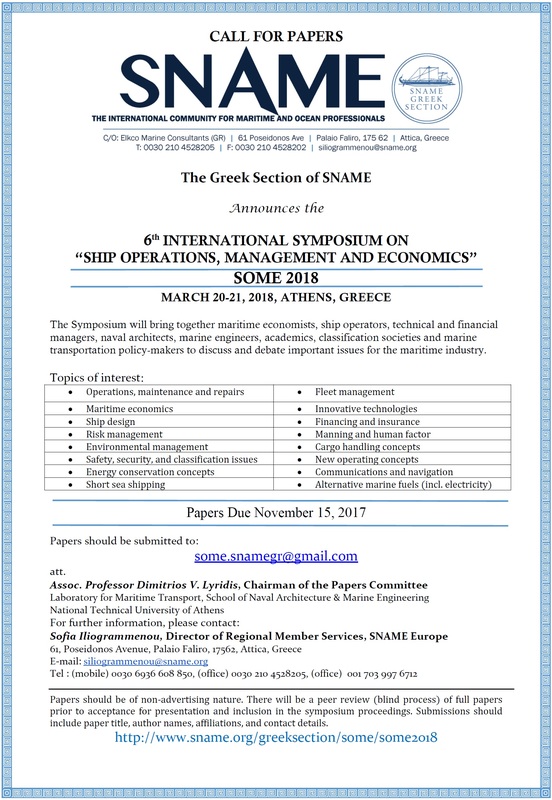 On December 7, 2012 Lloyd’s List, the UK maritime newspaper, which is the oldest and most significant maritime newspaper in the world, awarded in Athens to the Greek Section of the international Society of Naval Architects and Marine Engineers (SNAME) its prestigious award for best technical achievements. The award was given by Mr. Albrecht Grell, Executive Vice President from Germanischer Lloyd Headquarters in Hamburg, the award sponsor, and was received by Prof. Apostolos Papanikolaou, the current chairman of the Greek Section and Petros Lalangas, the founder, four years chairman and currently its Secretary / Treasurer (see the attached photo). This award, together with 16 other awards, was given during a gala dinner and awards ceremony at the Athenaeum InterContinental hotel in Athens in front of 970 Greek & foreign marine executives (ship owners, ship managers, professors, attorneys, economists, etc). 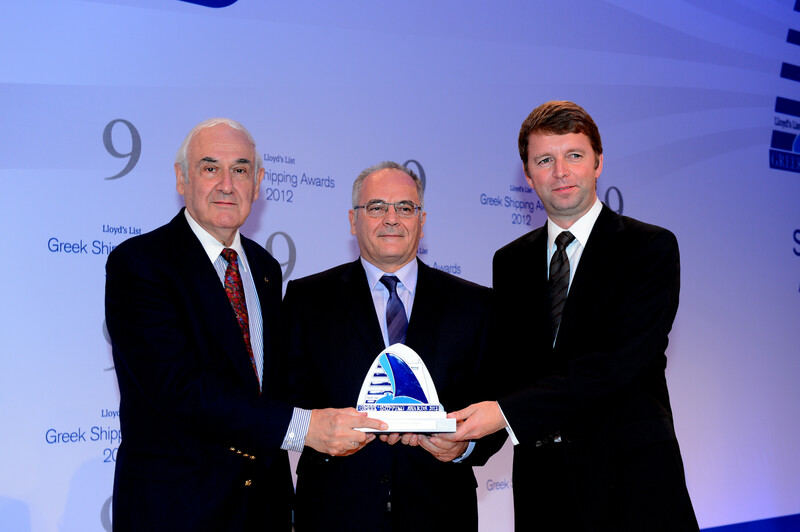 The other awards covered such areas as the Ship of the Year; Seafarer of the Year; Safety or Environmental Protection; Greek Shipping Personality of the year; Education or Training, etc. ‘‘Many thanks for this prestigious award, which we accept also on behalf of all members of the Greek Section, who worked hard for its growth. The Section started back in 2002 with 160 members and now has double that number. The second photo shows the award that was given. It is made mostly of white marble and was designed by an Italian artist. Sun Enterprises ends 16-year hiatus in MR newbuildings TradeWinds Sun's move for two MR tankers — its first order since 2003 — at HMD is seen as an attempt to renew its fleet.